Computer forensics is not only a new degree, but computer forensics is so new that finding careers in rural settings is next to impossible. A majority of individuals employed in Arkansas computer forensics are found in metropolitan areas and cities across the country. This is no different in Arkansas. Little Rock, AR, offers the greatest concentration of computer forensics specialists. With an estimated population of more than 184,000, based off of findings in from the 2000 census, Little Rock is the largest city in the state. The second largest city has a population of 83,000 people in Fort Smith, AR., while Jacksonville, AR, has a population of just over 30,000. With the ever-growing demand for computer forensic professionals, more and more schools are rushing to make computer forensic degrees more readily available for interested students. Online schools are a great option for anyone; especially if you have limited spare time due to job and family commitments. You can earn a respected degree in the computer forensics field from the comfort of your home rather than spending a great deal of additional time commuting to and from classes. When it comes to standard operating procedure in computer forensics, every state has its own laws and procedures. 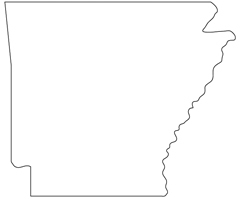 Currently, Arkansas is operating with regards to the Federal Rules of Civil Procedure Amendments. There are no additional state laws or statutes on the books in Arkansas concerning computer forensics or data recovery. Arkansas is among the majority of the states which require any individual practicing data recovery with the intent of using found information in a court of law be a licensed Private Investigator in that state. This is referred to as electronic discover or e discovery. While this is not an issue for the Law Enforcement Agencies working across the country it could prove to be an obstacle for those working in the private sector as computer forensic “specialists”*. Currently, the U.S. Department of Labor puts the mean annual income in Arkansas at $30,870*. This is well below that of the average pay for computer forensics in Arkansas, being $64,000**. Following suit, Arkansas computer forensics salaries seem to vary in correlation with the size of the cities. While larger, metropolitan cities, like Little Rock, AR, show computer forensic professionals making an upwards of $68,000**, smaller, more rural cities see computer forensics specialists making as little as $47,000**.